Sipping coffee at my desk last week, I tried to gather a list of favorite Latin American or Spanish books and I felt raptured into a labyrinth. Should I go this way, or that? Which of the intricate paths should I take first? Should I do it in chronological order? But then again, the themes, like the paths in a maze, seem to meet each other, reoccur, and from time to time, give an opportunity to skip to another side… Chale! Is there an actual exit to this? Is it the task or is it me who, in an attempt to reflect about the books I love, often enter an identity labyrinth, similar to the one Octavio Paz describes? I thought about The Broken Spears which invites the reader to be immersed into those ancient stories on the cosmology of the Aztecs, and to understand how ancient philosophies played an important role in the Spanish occupation of México, and in its current syncretism. Then, I thought that maybe Malinche by Laura Esquivel could be a better choice since it is written more like a love story, and who doesn’t love love. But a different title kept knocking at the door of my thoughts. 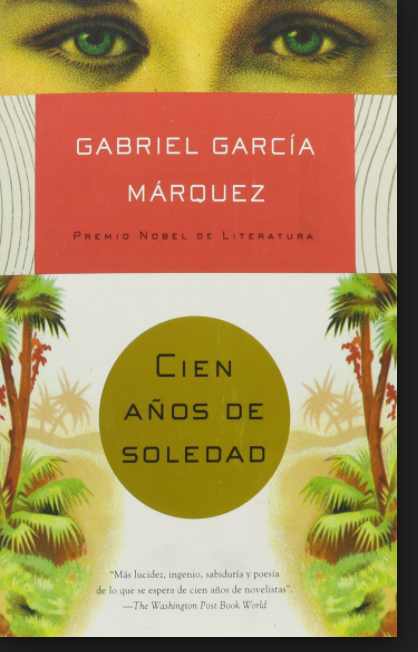 The one that most of us who have taken a class that requires Latin American Literature had to read: Gabriel García Márquez’s Cien Años de Soledad. The first time I read it in high school, it almost took me cien años to finish reading it, but the magic was worth it. You see, my classmates and I had transformed the book into a scavenger hunt. Our whiskers were wet. We looked for clues inside the book that would lead us to the next book to read. How excited I was to discover Artemio Cruz in Cien Años de Soledad, and I shared it with my friends. That served as a launching point to the next author, Carlos Fuentes, who believed that history would always provide revolutionary characters like Artemio Cruz. But if you think such findings sparked enthusiasm and idealism inside us, you have not read much of Latin American literature. My goodness, just when your hopes get high, it begins to rain – in almost every single darn book. Fuentes, who introduced us to Artemio Cruz, reminded us in “Old Gringo” to be aware of the ugly-self-interest-seeking-human that lurks inside of each one of us, idealistic or not. Another of my favorite on the subject of revolution is Mariano Azuela’s Los de Abajo written in the early 1900’s and centered in the Mexican Civil War. In English, the title is The Underdogs but it really does not evoke the same images that the Spanish title Los de Abajo does. Los de Abajo refers to “those who are at the bottom of the pyramidal structure of so many human social configurations throughout history. When reading Latin American literature, you will always find those comedic chapters on the absurd, such as Capitan Pantoja and the Special Service by Mario Vargas Llosa, which provide much needed relief during raining seasons. And of course in reading Latin American literature, there is the important question of language and translation. When I read the book Malinche in English, I noted that the culturally-rich word “temazcal” was merely translated as “hot-bath” (jacuzzi). If you knew what a Temazcal represented for Mezoamerican cultures, and its role in new-births, in healing, in cathartic ceremonies, then you would understand its significance in that chapter in which Malinali and Cortez bathe their fusing souls in it. I am sure you would be able to smell the copal and other aromatic fresh herbs when reading about it. Or, if you have studied Latin American history, you would notice the weaving of the threads that joined the voice of Oscar to the authors’ footnotes in The Brief Wondrous Life of Oscar Wao, by Junot Diaz, or the universe in the word Quetzalcóatl, in Juan Felipe Herrera’s Half of the World in Light. So, during this Hispanic/Latino Heritage Month, connect with a book by a Latin American writer, maybe one from my list. But more importantly, connect with a person of Hispanic or Latin heritage. What you might learn from them about the cultural values and practices, history, and character will enrich your reading experience. And of course that could lead to enriched relationships with your neighbors of Hispanic or Latin heritage as you hear their stories. After all, as Jonathan Gottschall points out in The Storytelling Animal, it is stories that make us human. 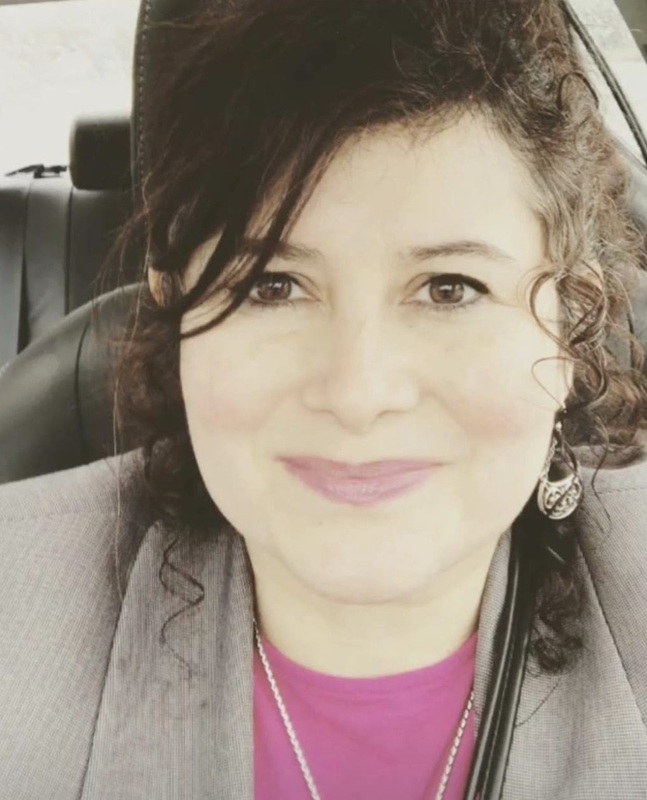 ~ Claudia Dugan is an Associate Professor of Spanish at Howard Community College in Columbia, Maryland. By Laura Yoo in Guest post on September 22, 2017 .